Look at how we can make your Rage Buggy Yours. Let us help you make your new Rage Buggy perfect for you. Are you going to use your Rage Buggy for leisure activities or for competitive events? On-road or off-road...or both? LET US HELP YOU! Here at Rage, we’re passionate about performance and driving enjoyment, and will work with you throughout the sales process to ensure that your Rage Buggy is configured to meet your exact needs, budget, and skill level. Along with numerous models to choose from, Rage also offers a wide array of performance, safety, and convenience options to maximize your particular vehicle. And as with the Rage Buggies themselves, all optional equipment is of the highest quality and tested for compatibility with your vehicle. 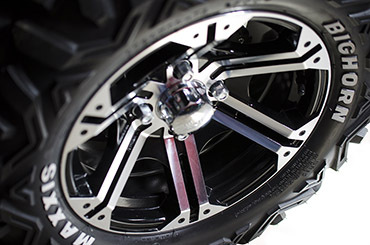 Because Rage Buggies can perform on so many different types of terrain, Rage offers numerous different wheel and tire combinations from ITP, Team Dynamics and Toyo. Other tire options are available upon request. Rage Buggies are incredibly strong and safe machines to begin with, including standard high-backed bucket seats, integrated 5-point harnesses, a master power switch, and side window nets for maximum protection. 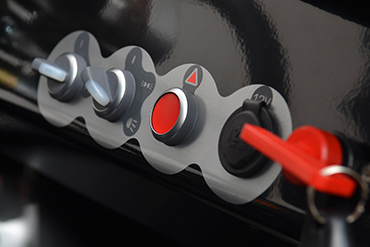 Additional restraint options can be discussed to offer the utmost confidence in your drive. 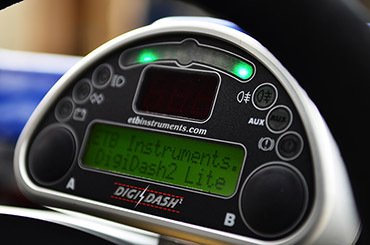 The Rage R140T, R200T and R200RT models are available with a GPS-linked DigiDash instrument pod, providing both basic vehicle information (digital speedometer, tachometer, fuel level, and more) and advanced features, such as performance measurement. Rage can configure your setup to you particular needs, as well as explore options for additional instrumentation and electronics. One thing Rage Buggies aren’t short on is performance, be it acceleration, braking, or handling. That said, Rage understands some customers desire even more of it, and will discuss additional performance options with you for getting the most out of your Rage Buggy for your particular driving needs. Being able to see, and be seen, properly is huge for both speed and safety, as well as being required for street-legal driving. 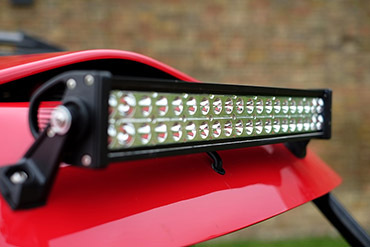 Most Rage Buggies are prepped with mounting tabs for lighting elements and can be configured for different setups, including turn signals, running lights and head lamps, and high-powered LED off-road light bars. 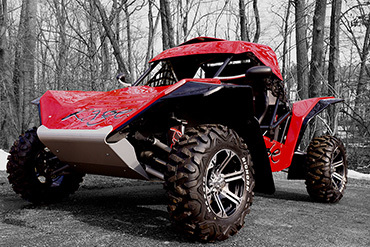 Your Rage Buggy can be configured to meet your personal specifications with a large selection of options and accessories, including windshields, mud flaps, lighting packages, suspension upgrades, body modifications, and other performance gear. Additional custom upgrades can also be discussed.